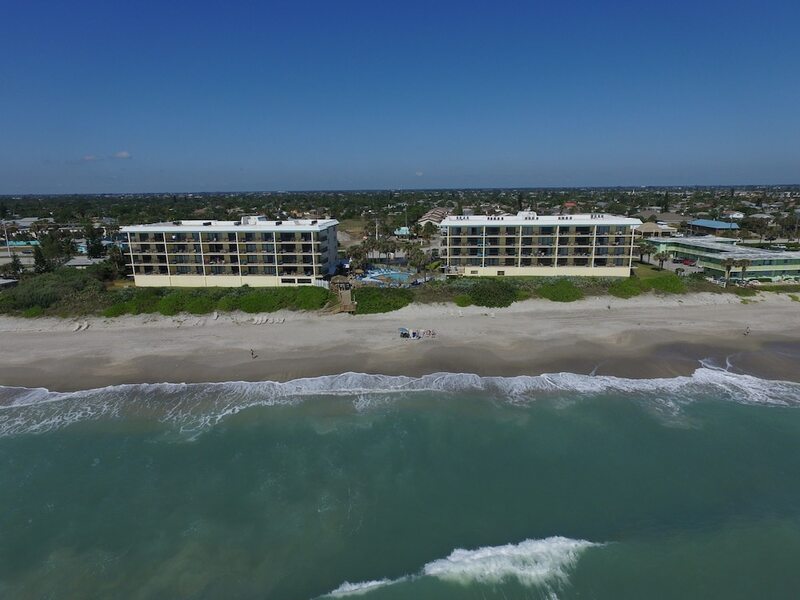 This Satellite Beach condo building is on the beach, 5.8 mi (9.3 km) from Foosaner Art Museum, and within 12 mi (20 km) of Melbourne Greyhound Park and Florida Institute of Technology. Brevard Zoo and Cocoa Beach Pier are also within 16 mi (25 km). The condo has 2 bedrooms and offers free WiFi and a sofa bed. Guests will find a kitchen with a refrigerator, an oven, a stovetop, and a microwave. This condo features an outdoor pool and a spa tub. A computer station is located on site and wireless Internet access is complimentary. This 3-star property offers access to a business center. This beach condo also offers a terrace, barbecue grills, and karaoke. Onsite self parking is complimentary. Front desk hours are 9AM to 5PM Monday through Friday, 9AM to 7PM on Saturday and 9AM to 3PM on Sundays. To retrieve lockbox code and for more details, please contact the property using the information on the reservation confirmation received after booking.